I promised in my last blog post to give some details about some of the more unusual or interesting objects I’ve found whilst poring over the Museum’s scientific collection. I mentioned Andrée’s stuffed carrier pigeon previously, but here are four more objects that I think give a good sense of the Museum’s holdings. 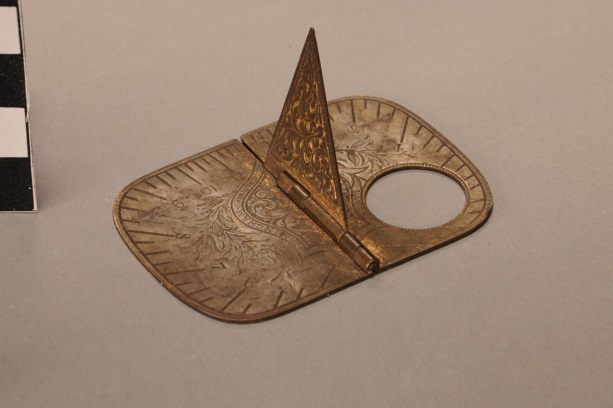 First up is an early pocket sun compass used by Captain Sir James Clark Ross on his voyages in both the Arctic and the Antarctic. Ross’s work was crucial in fixing the position of both Magnetic Poles, which allowed great improvements in Polar navigation. Until the shape and contours of Earth’s magnetic field were known, navigation near the Poles had to be carried out using non-magnetic instruments, such as a sun compass, because the difference between true north/south and magnetic north/south was very large at these high latitudes, but of unknown magnitude. Therefore, other solutions were devised, making this compass not only an item of immense historical significance, but also a good demonstration of practical navigation and the difficulties inherent in early Polar exploration. Amundsen went to a great deal of effort to verify his position and make sure he had actually reached the Pole, sending men out in several directions for several miles, just to be certain they hadn’t got it wrong. This piece of paper is therefore the outcome of some quite precise navigational and cartographic science as well as marking one of humanity’s major exploratory achievements. The third object symbolises what is perhaps a lesser-known facet of Polar science: geology. Geology was an important element of many early Polar expeditions, with Antarctic fossils and rocks used to support the emerging theory of continental drift and plate tectonics, and remains of interest to this day. 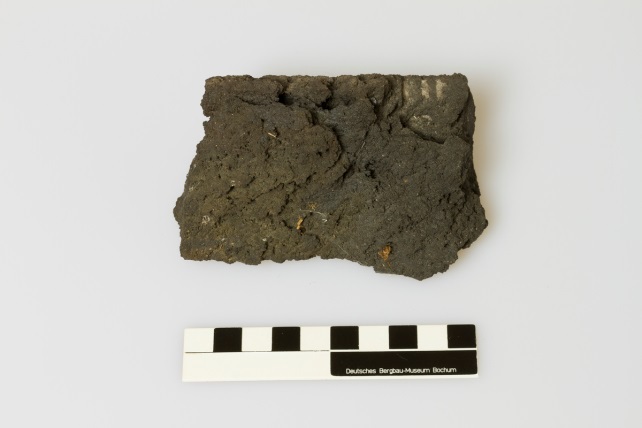 Indeed, this particular piece of rock is a specimen of basaltic lava from the 1967 eruption of Deception Island in the South Shetland Islands (just off the west coast of the Antarctic Peninsula). Antarctica might be seen as a frozen continent, but this piece of lava goes to show that it’s alive and kicking! The fourth and final object brings us bang up to date. 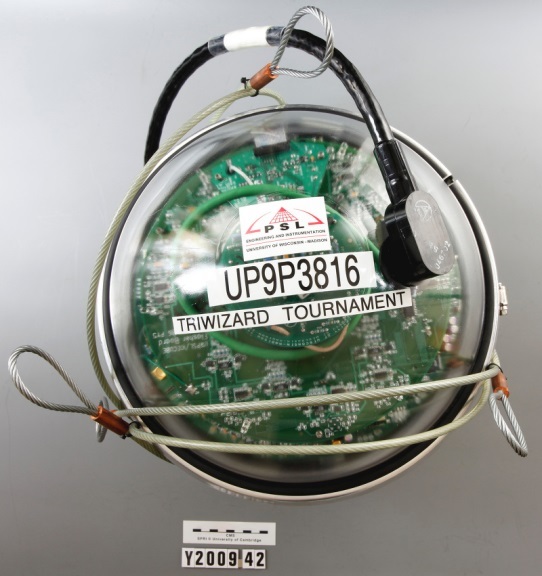 It’s a digital optical module (DOM) from the IceCube Neutrino Observatory. The observatory was completed in 2010 and sits more than a kilometre under the ice sheet at the South Pole, with thousands of DOMs spread over a cubic kilometre of ice. The observatory detects the flashes of light emitted by neutrinos as they interact with normal matter, allowing information about their origin and energy to be extracted. It’s also unexpectedly turned out to be a surprisingly-useful glaciological tool, as it’s allowed scientists to map the movement of deep layers of the ice, which would otherwise be virtually impossible. This particular DOM developed a fault in testing, so wasn’t used, but this remains probably the Museum’s best current example of modern Polar science and of so-called ‘Big Science’. Science at the Polar Museum! I’m an MPhil student at SPRI, hopefully progressing on to a PhD come October, and after realising I was going to have a three-month gap over the summer between the end of the former and the start of the latter, I was anxious to do something vaguely productive for at least a part of it. I therefore spoke to Charlotte, the curator, who it turned out had something in mind for just such an occasion. My academic work focuses on computer modelling of glaciers, which, you may think, has very little to do with a museum. To some extent, you’d be right, but not entirely (and who says you can’t be interested in more than one thing anyway?). What I was being asked to do, using my scientific expertise, was to look through the Polar Museum’s large collection of science-related artefacts, identify strengths and weaknesses, and suggest items that could be added to the collection to fill any obvious gaps, particularly with regards to modern Polar science (see, I said modelling wasn’t entirely irrelevant). This was known to be a bit of a gap in what was, unsurprisingly, a more historically-oriented collection. Is it a bird? Is it a plane? Yes, it’s a bird. The Museum’s stuffed carrier pigeon from the fatally-unsuccessful Andrée balloon expedition to the North Pole. 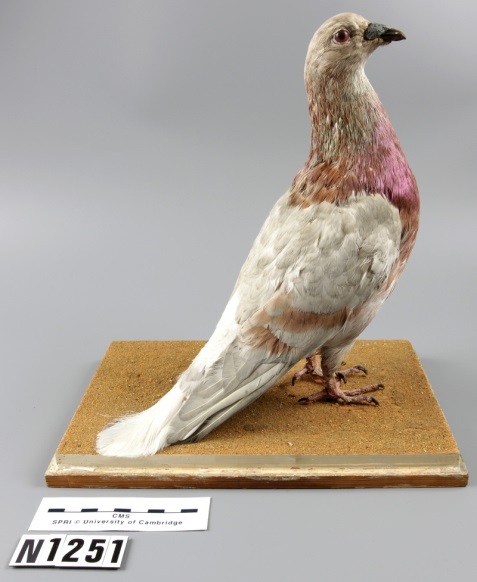 Having spent an inordinate amount of time combing through the Museum’s database, launching exploratory expeditions to the basement and deciding quite what you categorise a stuffed carrier pigeon as (is it natural history? Is it communications technology? Is it a navigational aid? ), I’ve managed to get a fair idea of what we have and haven’t already got. As a result of this, I’ll be writing a report for Charlotte outlining the current state of the collection and suggesting what we might want to consider acquiring to strengthen it. One problem that has become obvious is that, with modern Polar science being so based on remote sensing (i.e. using satellites and airborne instruments to gather data) and computer analysis, the actual number of tangible objects related to it is rather smaller than it was a century ago – and most of the ones that do exist are essentially variations on the theme of ‘something that looks like a smartphone’. Given getting an entire satellite isn’t really practical for such a small museum, I’ve had to think a bit more widely about what best represents modern science. I’ve come up with a few ideas, so watch this space to see if any exciting new gizmos make their appearance in the future! Further blog posts will be forthcoming, giving a bit more detail about some of the objects I’ve found and some of my ideas. Needless to say, it’s been a busy few weeks! 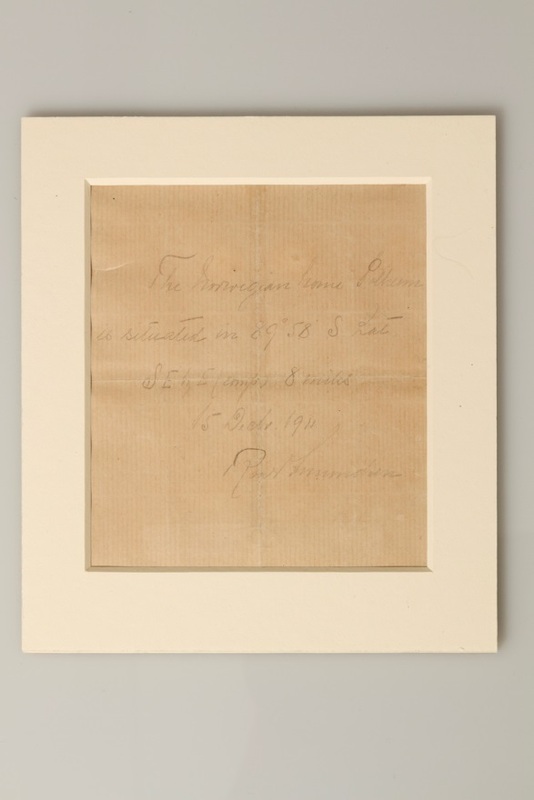 Posted in Collections | Comments Off on Science at the Polar Museum! Shackleton Exhibition on International Tour – First Stop the Falkland Islands! The Polar Museum Shackleton exhibition “By Endurance We Conquer: Shackleton and his Men” is going on international tour in 2016, and the first stop will be the Falkland Islands Museum in Stanley. 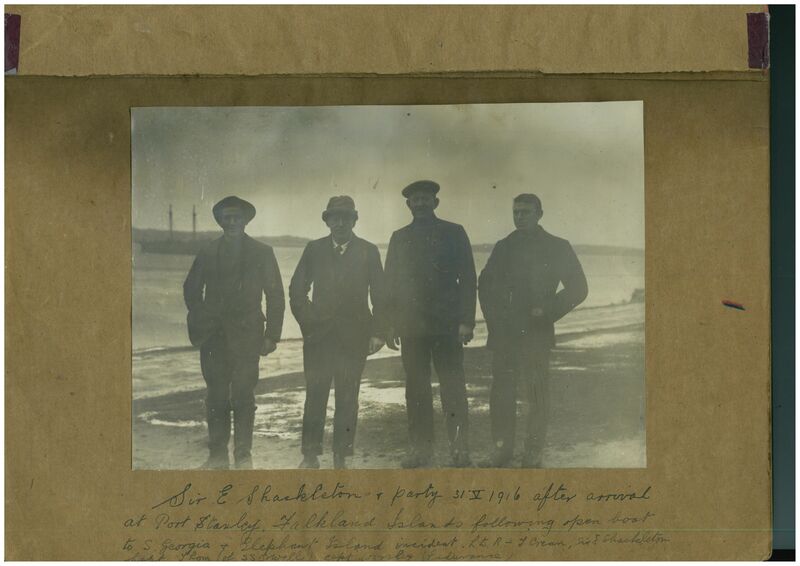 This blog post tells the story of how we got the Shackleton exhibition to the Falkland Islands. It all started back in February 2016 when I e-mailed Leona Roberts, Director of the Falklands Islands Museum & National Trust to see whether they were interested in working with SPRI and willing to show the Shackleton exhibition. Straight away Leona replied to say that they would be “absolutely delighted” to take it. She thought the exhibition would be of enormous interest to both local people in the Falkland Islands and to visitors, and it would allow the Museum to mark the centenary of Shackleton’s Endurance expedition in a way that they could not hope to do so otherwise. I was very fortunate to be able to visit the Falkland Islands between 13 – 20 March 2016 to meet Leona and help organise and plan the exhibition. I had a busy week on the islands, and as well as seeing Leona and the Museum team, I also met the Museum Trustees, the Governor of the Falkland Islands – Mr Colin Roberts and members of the Falkland Islands Legislative Council to tell them about the exhibition. Everybody I met was very enthusiastic and supportive and made generous offers of help. While I was in Stanley, I took the opportunity to visit the Jane Cameron National Archives and was shown a fascinating photographic album produced by the Falkland Islands naturalist A.G. Bennett in the early 1900s. 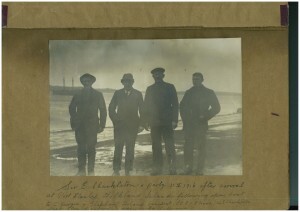 The album contained several original photographs taken by Bennett of “The Shackleton expedition at Stanley 1916”. Shackleton 31 May 1916. Image: A G Bennett Collection, Jane Cameron National Archives. The Falkland Islands. 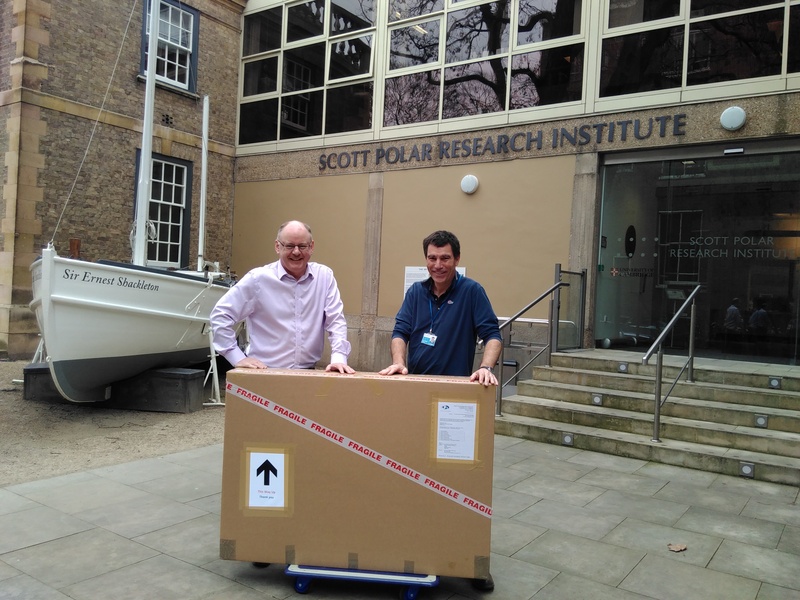 Back in the UK, staff in the Polar Museum worked hard to get the exhibition ready to send to the Falkland Islands before the end of April. Bryan Lintott, the curator of the Shackleton exhibition, used the Bennett photographs to develop new exhibition content to tell the story of Shackleton in the Falkland Islands during 1916, Charlotte Connelly, the Museum Curator, prepared the exhibition license agreement with the University legal services team, and I worked out the logistics to ship the exhibition the 12,700 km from Cambridge to Stanley. 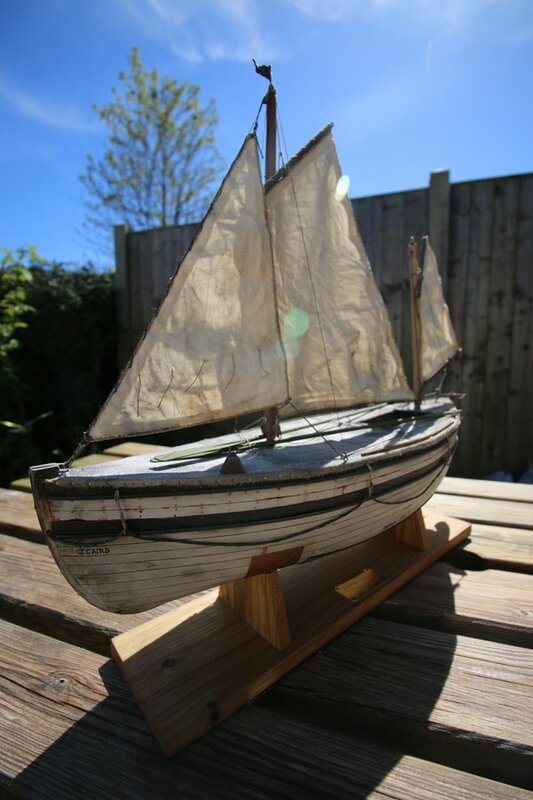 As well as the fifteen exhibition information panels, we also needed to freight a replica scale wooden model of the lifeboat the “James Caird” made especially by the polar explorer Seb Coulthard for the Museum, along with a couple of boxes of Shackleton merchandise for their shop. To protect the exhibition panels from damage during transport we had special protective cardboard boxes made up for us by a local company Performance Packing UK in Haddenham. On Friday 22 April the shipment was finally all packed up and ready to go at SPRI. Bryan and I then drove it to Chiltern Air Freight in Colnbrook, Berkshire. Chiltern Air Freight, in partnership with Sulivan Shipping in Stanley, have for many years provided regular freight services to the Falkland Islands. Our shipment was very different from the usual freight boxes but Chiltern Air Freight looked after it with great care and attention. It went by air freight from London, UK to Miami, USA and then to Montevideo in Uruguay where it arrived on 28 April. In Montevideo, the freight was transhipped from the airport to the docks and loaded on to the Falkland Islands resupply vessel MV Scout, and it finally arrived in Stanley on 5 May. 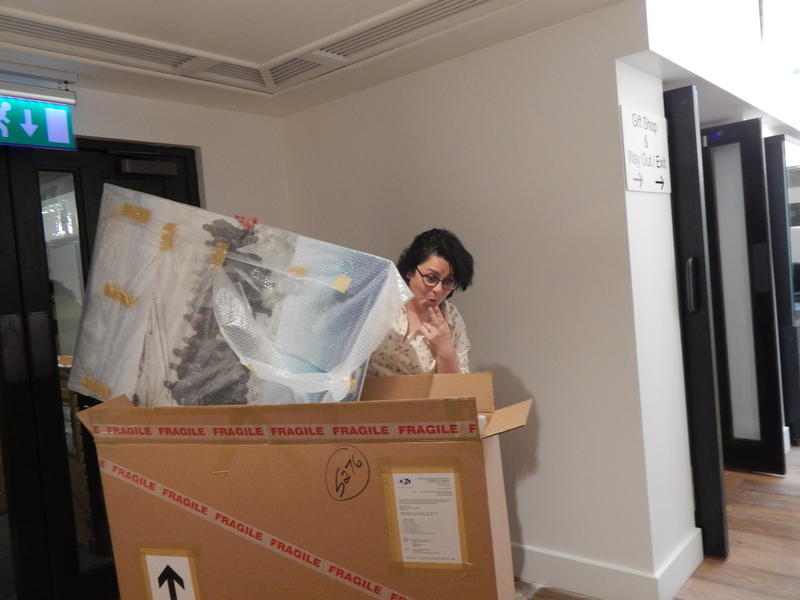 Falkland Islands Museum Manager Andrea Barlow takes a first peek at the newly arrived packages. The Shackleton exhibition has now been delivered safely to the Falkland Islands and is being put up at the Museum as I write. The exhibition will be opened by the Governor on 31 May 2016 – exactly 100 years to the day that Sir Ernest Shackleton, along with Frank Worsley and Tom Crean, arrived in the islands to organise the rescue of their companions marooned on Elephant Island in Antarctica. 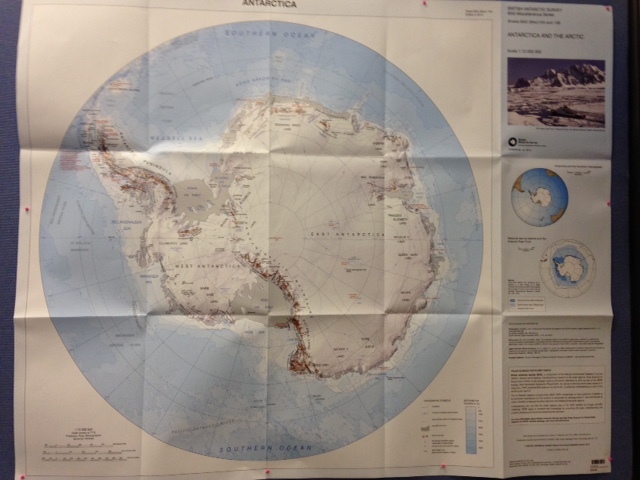 Posted in Exhibitions | Comments Off on Shackleton Exhibition on International Tour – First Stop the Falkland Islands! Health warning: this post contains detailed information about cataloguing and classifying and is not for the faint-hearted! I’m six weeks into my job on the Antarctic Cataloguing Project at The Polar Museum and am finally starting to feel that I’m getting to grips with the project and all its different elements. I’ve been doing quite a bit of behind-the-scenes work and trialling of this and that – including devising a standard template for biographical records for people, organisations and expeditions so that this information doesn’t get repeated in individual object records; creating a term list for Arctic and Antarctic expedition names so that they always appear in the same format; and measuring and describing some of the 27 objects in the collection from the British Antarctic Expedition 1907–09 (Nimrod) and cross-referencing them with photographs from the expedition. I’ve concluded that a two-pronged approach to the project is probably the way forward – one driven by the objects and the other by the expeditions – and I hope the two will come together at some point! And I’m really hoping that, come the new year, I’ll be ready to get properly stuck in. I’ve decided to focus in geographic keywords first, so I’ve been taking the time to get to know the Antarctic. I’ve been interested in the Antarctic for quite a few years but, to be honest, my geographic knowledge of the continent has never stretched much further than being able to point roughly in the direction of the South Pole and knowing where the Antarctic Peninsula is! So Step One was to get myself a map… much better! Step Two was to try to understand how places in the Antarctic work – not only where they are, but how they are grouped together, and what the broader divisions/areas are, as well as the specific places. 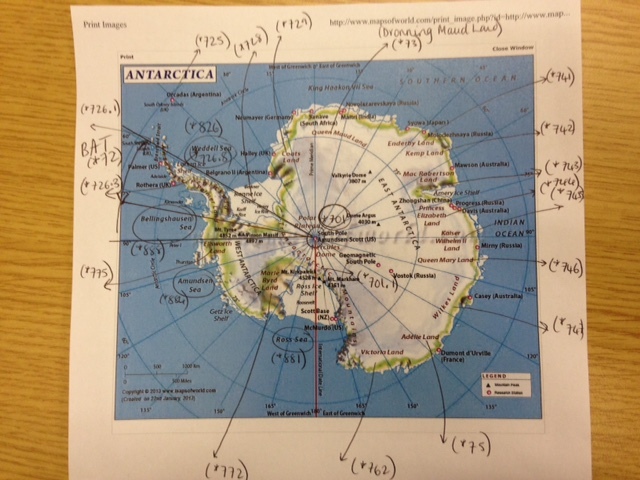 In short, is there some sort of hierarchy to Antarctic places – a polar equivalent of village, county, country? And I’ve discovered that the answer depends on the resources you use. I’m a bit of a place-hierarchy obsessive, having spent the first year of my museum career on a cataloguing project which focussed on recording information about where objects were made, used and collected. Let’s imagine we have an object that was used here at The Polar Museum: we might know that it was used here, or we might know that it was used on Lensfield Road, or in Cambridge, or in Cambridgeshire, or in East Anglia or in England etc. This is why I love hierarchies – it’s great to be specific when you can, but in most cases you just don’t have enough information and need to be more generic. Another reason for favouring the generic is if an object has been used in several places in broadly the same area. And then I discovered the ‘Universal Decimal Classification for use in Polar Libraries’! Exciting stuff! (Well, it is to those of us who love classifying things). It’s has been in use at the Scott Polar Research Institute since 1945 (with updates over the years) and is also used by other polar libraries, and seems to be perfect for what we want. 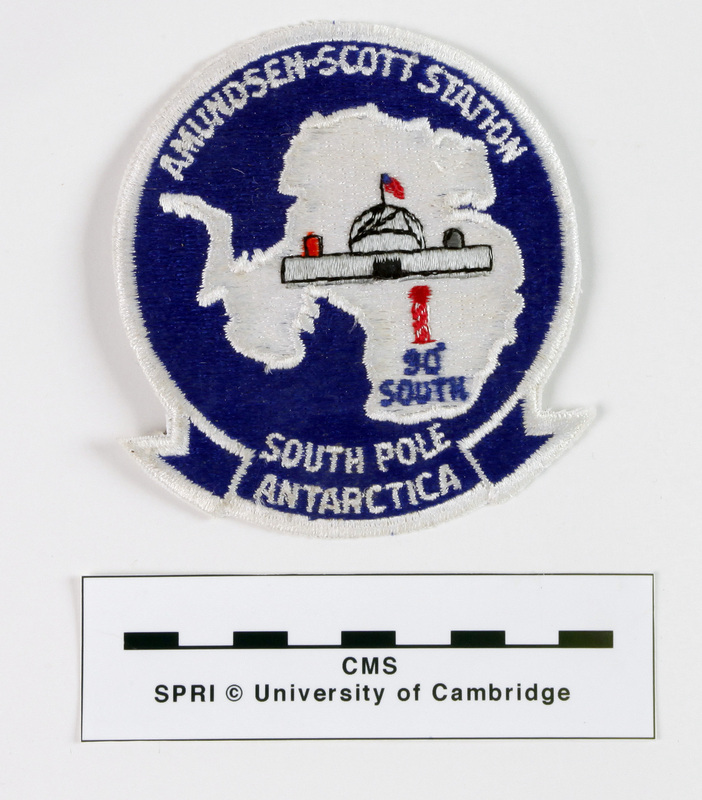 It’s already used by the SPRI Library, is being rolled out in the Archives, and has been used in some Museum’s Arctic object records, so it makes sense to use it for the Antarctic object records too, as it provides a way to tie the Institute’s collections together and enable searching across the collections. It has taken me a little while to figure out how it works though (hence all the scribbling). Unfortunately Step Three (the tricky one) is still to come – to work out how to put this information into the object records. A numerical code or a numerical code and text version? Should it show just the narrowest level in the hierarchy to be used for that record, or should it show all the levels, or a set number of levels? And this thinking about how to represent hierarchies in the object records doesn’t just apply to geographic keywords – they’re also issues I’m going to have think about when recording materials more subject-based keywords. PS I promise not all of my posts will be about cataloguing and classifying!